By the time my husband and I walked through the door of the fertility clinic, I had already suffered two miscarriages. It took me almost 5 years to get pregnant with my daughter. Infertility is such a cruel tease. For me, I didn’t think I could bear to live my life if I didn’t have the opportunity to become a Mommy. That thought was simply unbearable. But we were hopeful. I was hopeful that the endocrinologist had an answer for my PCOS-fueled barrenness. It was easy to get my hopes up. Every other day, a trip to the clinic for testing and blood work. Great news! You have four mature follicles this month! It looks like you have a great shot at the IUI succeeding! It wasn’t long before we did receive good news.. well, kind of. When the doctor called to tell me the pregnancy test was positive, I immediately detected a strain in her voice. What was that? Concern? Worry? The test was positive.. but my numbers were not as high as she would have liked. I knew something was wrong. Sure enough, the next time I sat on the exam table, the doctor delivered the devastating news with as much sensitivity as you could hope for. My pregnancy was not viable. Would you like to schedule a procedure? It would be relatively painless. With tearing cresting the lids of my eyes, I shook my head vigorously. NO! I cannot do that. There has to be hope, right? No, there is no hope. If you choose this route, your body will expel the embryo naturally. It might take 1 to 2 weeks. When you start bleeding, you will know. So, I left the clinic sobbing, and clung to the one in a million chance that they were wrong. I should have just opted for the procedure. Can I ask you an inconvenient question? How far would you go to avoid pain? What actions would you take to sidestep a hard truth? As a Mom, as a woman.. are you stubbornly clinging to the notion that you can control everything? That you can ‘be’ everything? Sometimes, our stubbornness makes us ridiculous. I should know– my stubbornness led me to make the utterly ridiculous decision to play an orchestra concert while I practically bled out. The concert was aptly named, ‘Creation and Destruction.’ Aptly named, because while I performed this concert, I was in the throes of that miscarriage. The new life that had been created in my womb had died, and my body was in the process of destroying the evidence. And yet, I played on. After receiving the devastating news that I would suffer a miscarriage, I was grieving.. sure. Of course I was. I was in denial.. absolutely. But because I could not come to terms with the fact that I am not superhuman, I made it worse… much, much worse. 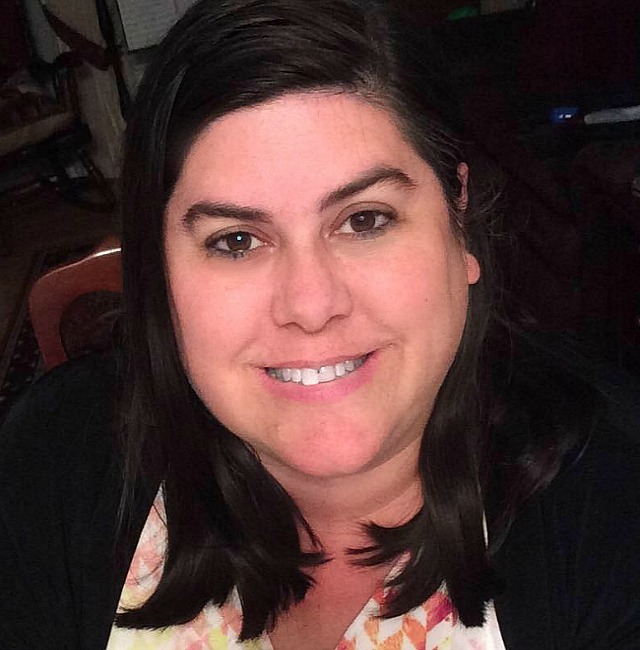 I started bleeding two weeks after leaving the fertility clinic. 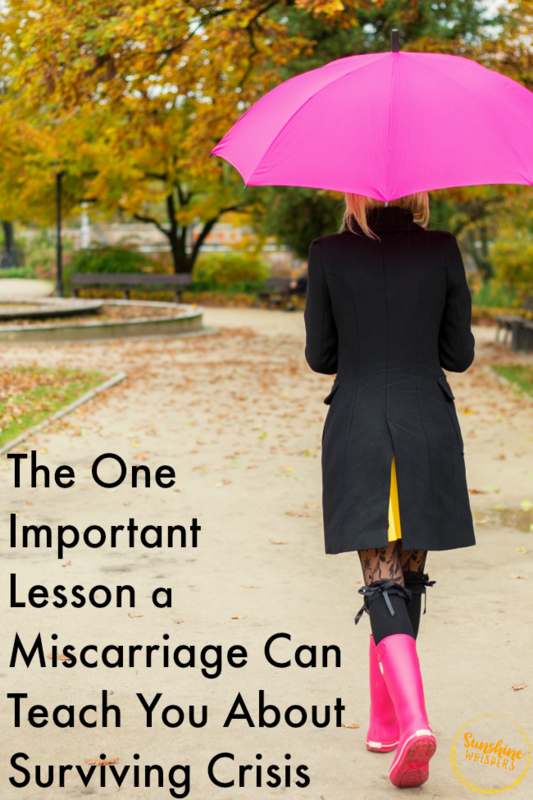 When my miscarriage started, I rationalized that it wasn’t that bad really. I mean, I knew everything about miscarriages because I had already suffered two of them, right? I was in denial and that is completely understandable, right? You have probably been there. You are faced with a reality you can’t even begin to grasp. You are still processing. You are in shock.. and you are not thinking rationally. You meet with your boss only to be told you were passed over for promotion, again. You discover evidence that your spouse is having an affair. The CT scan shows a possible tumor on your pancreas. It really doesn’t matter what the situation is– tragedy is tragedy— and you are not supposed to be able to make great decisions when you are in shock. Perhaps that is why support systems are so important. 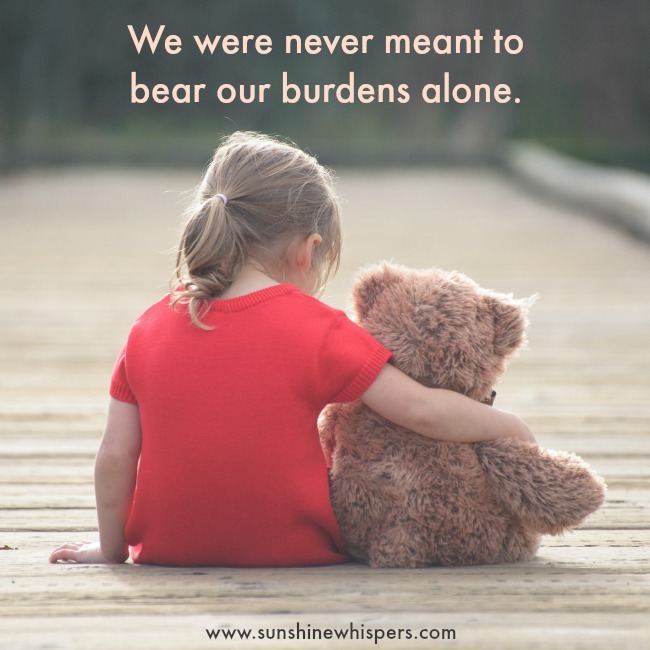 We were never meant to bear our burdens alone. I was determined to not let a little bleeding get in the way of what I wanted to do. I had commitments after all. The show must go on! My husband was concerned.. really concerned. ‘Why don’t you just stay home and rest?’ ‘No! I WANT to play this concert!’ And with that, I slipped on my concert black, grabbed my violin, and off we went. How do you know when you are in over your head? What self-care triggers or stop-gap measures have you established to snap you out of making horrible decisions? A warning from the bank about your credit card debt? A high level of blood sugar? A raised hand? A bruise on your back? I still had time to choose differently, to choose wisely.. but I didn’t. The cramping started during intermission. I still had time to back out. I could have called my husband and we could have gone home (or to the hospital) immediately. Everyone would have understood. But I didn’t choose well. I was still under the illusion that I was in control. And so I played on. My world imploded on the second half of the concert. The cramping was unbearable. When we stood up at the end of the concert, I felt as if my insides were coming out of my body. The pain and bleeding were out of control. This miscarriage was unlike the other two.. this was serious. Very, very serious.. and I had never been more scared in my life. Less than an hour later I was rushed to the hospital and over the next 4 days, my body continued the process of rejecting the embryo.. until finally, it was finished. Why was I so stubborn? Why did I cling to the illusion of control? When tragedy strikes, lean hard on your support network– not just for emotional support– but also to be the voice of reason to help you make good decisions. Pay attention to self-care warning signs. Get that blood test. Take the Zulily app off your phone. Sleep. Confide in someone you trust so they can help. Learn to say no, and not just to other people or outside commitments. Learn to say no to the impossible demands you make on yourself. 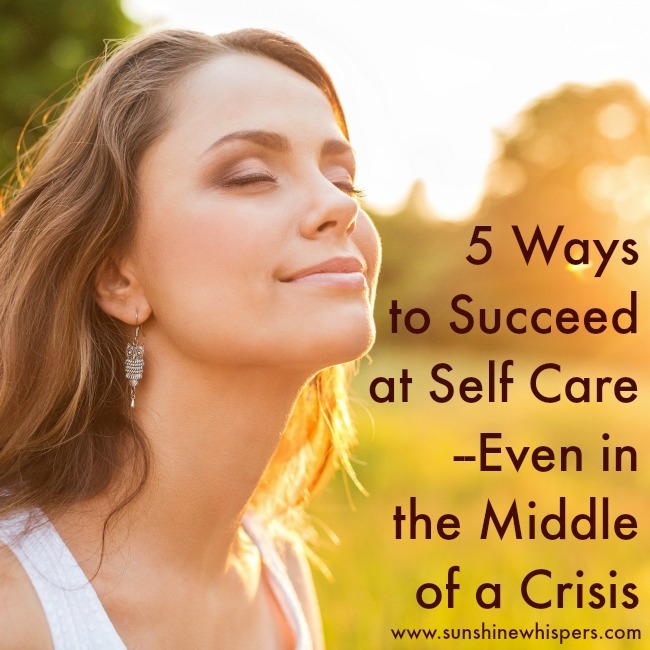 When you are not in crisis, retreat to a quiet place (even if that place is behind a locked bathroom door), and think hard about the demands you make on yourself. Are they reasonable? Would the people you are closest to think they are reasonable? 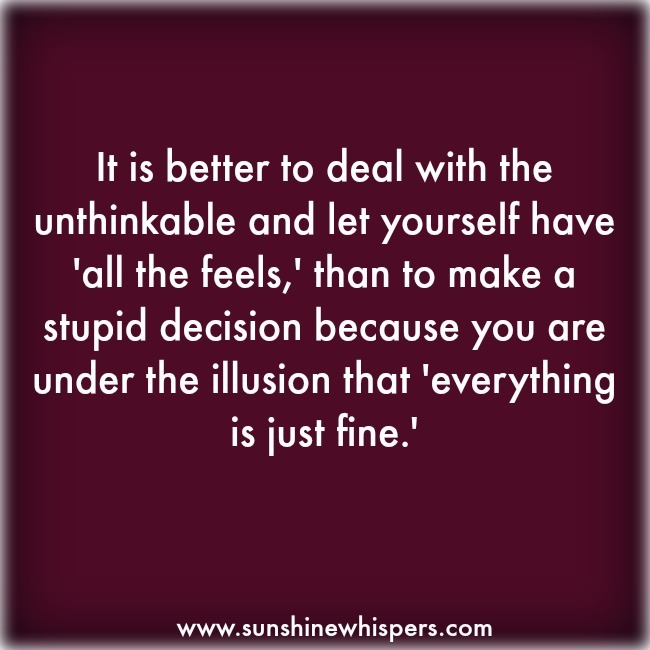 Pay attention to your inner voice and if necessary, make the hard decisions about when you need to say no.. even to yourself. Take it from me, at some point you will have to come to terms with the fact that you cannot control everything. You are not superhuman.. and that is just fine. You don’t need to pull all the strings… often life is more interesting when you allow some room for surprises anyway. 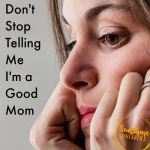 But even though we can get surprised by the little joys of life, if we don’t pay attention to taking care of ourselves, sometimes we will be faced with the hard life lesson that nope– even we (the supermoms of the world) don’t always get our way. May you learn this lesson early.. and avoid the ridiculous. Thank you Mom.. I always love opening my inbox to see one of my posts resonated with you. 🙂 Love you so much! 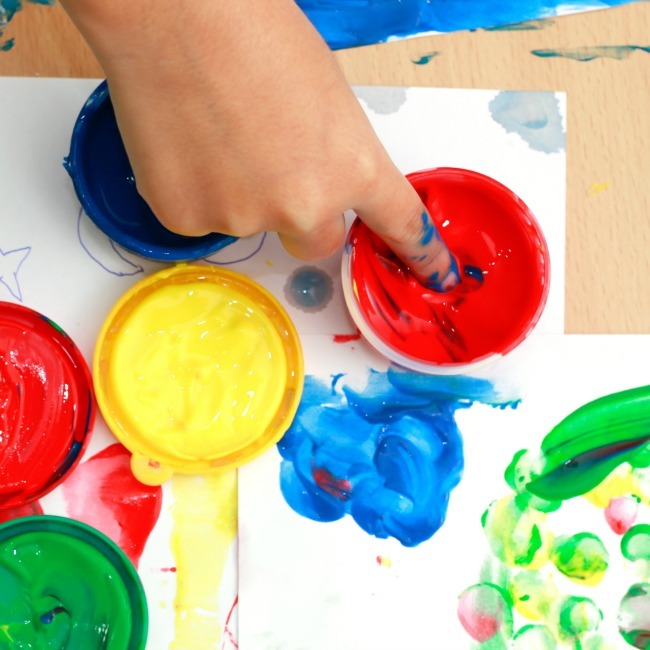 Thank you for hosting, I am now following on Fb Pinterest and Twiter. This is amazing Sara. I had tears in my eyes reading this because I know how terribly infertility is and how ridiculous us women can be. Your message to lean on your support system is something I too learned the hard way. 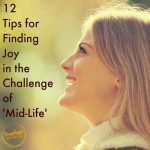 I hope this beautiful post will help other women find and lean on theirs. Thank you so much for your kind words Erin. I know your support system is so important too. I remember you telling me this a few months later in Berlin. I love how you are using this time to reach out. I have done the same in other instances. I was also so happy when you had a baby girl about a year later.